LA JOLLA–(September 11, 2018) Cancer cells often have mutations in their DNA that can give scientists clues about how the cancer started or which treatment may be most effective. Finding these mutations can be difficult, but a new method may offer more complete, comprehensive results. "We were able to design and use this computational framework to connect the three methods together, to get the most comprehensive view of the genome," says Feng Yue, assistant professor of biochemistry and molecular biology at the Pennsylvania State University and one of the paper's corresponding authors. "Each method by itself can only review a portion of the structural variations, but when you integrate the results of the three different methods, you can get the most comprehensive view of the cancer genome." 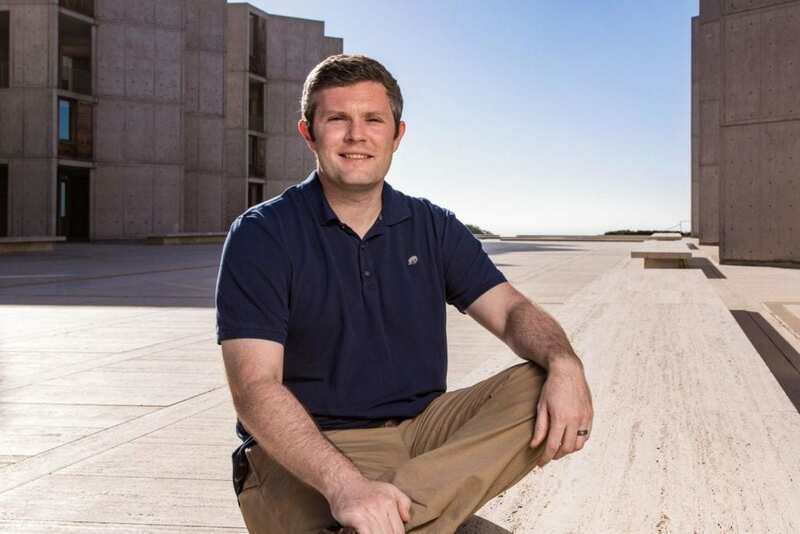 "Many of the structural variants that are found in human cancers do not appear to directly impact a gene," says Jesse Dixon, a Helmsley-Salk Fellow at the Salk Institute and one of the paper's first and corresponding authors. "Instead, many structural variants appear in noncoding portions of the genome, what people have historically referred to as junk DNA, and it can be a bit of a mystery as to why these may be contributing to cancer." Adds Yue, "If you are a cancer patient, knowing about the structural variants that lead to the cancer can help us understand why you got sick and possibly which treatment could be best." What the researchers observed is that some structural variants appear to affect regulatory gene "switches" in noncoding sequences of DNA. Defective switches prevent appropriate turning on or off specific genes and this can contribute to cancer. They also used the Hi-C method to explore how structural variations can affect 3D genome structure–how DNA folds itself within the cell. "Cells are small, but their DNA is very long–laid out in a line, all the DNA from one cell would be more than two meters long," says Job Dekker, professor and co-director of the program in Systems Biology at University of Massachusetts, investigator of the Howard Hughes Medical Institute and a corresponding author of the paper. "That's why DNA needs to fold in intricate ways. We have found that genomic alterations in cancer cells can lead to differences in how the genome folds and this can lead to cases where genes become turned on or off by the wrong regulatory switches". "One of discoveries we had made in the past is that our genome is folded up into distinct structures, almost like little neighborhoods," Dixon says. "It appears as though some structural variants cause changes to these neighborhoods, such that a cancer causing gene is moved from a neighborhood where the gene is kept quiet into one where the gene becomes activated."